Dave Rank spent 27 years as a State Department Foreign Service Officer, including his final assignment as Deputy Chief of Mission and, following the 2016 election, as the Charge’ d’Affaires (acting Ambassador) at the U.S. Embassy in Beijing. 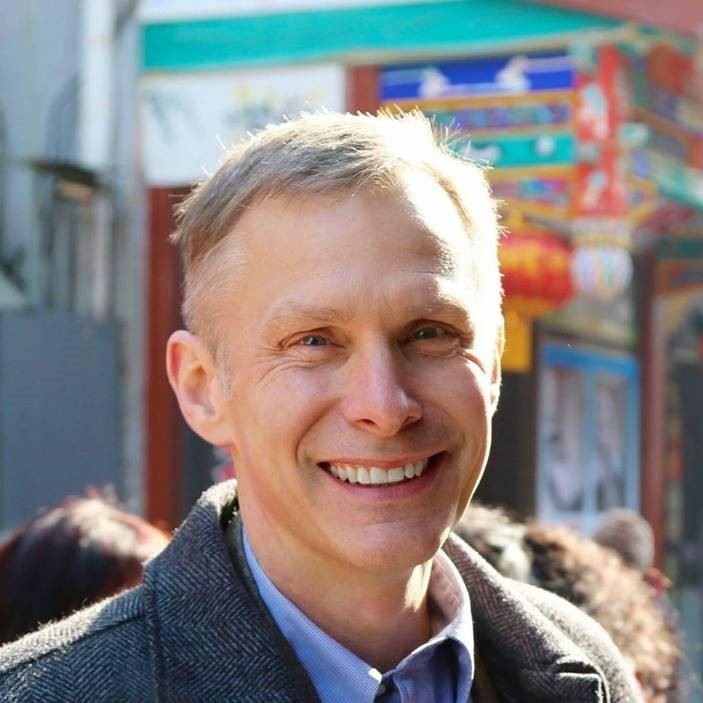 In addition to six Foreign Service assignments in greater China (three in Beijing, two at the American Institute in Taiwan and one at the U.S. Consulate General in Shanghai), Dave served at the U.S. embassies in Kabul, Athens, and Port Louis (Mauritius). In Washington, he worked in the office of the Special Representative for Afghanistan and Pakistan (SRAP), the State Department Korea desk, as Special Assistant to the Under Secretary of State for Political Affairs and as a Fellow at Georgetown University’s Institute for the Study of Diplomacy. In 2015 he received the State Department’s Distinguished Honor Award for his role in the release of the only American servicemember held by the enemy in Afghanistan. He is also the recipient of the American Foreign Service Association’s Sinclaire Award for the study of languages and their related cultures. He now serves as the head of the China practice at The Cohen Group, a global business strategy consultancy. Dave also teaches at the Johns Hopkins University School for Advanced International Studies (SAIS) and is Senior Fellow at the Energy Policy Institute of the University of Chicago (EPIC) and at the U.S. Institute of Peace. He speaks Mandarin Chinese, French, Dari and Greek. He and his wife, Mary, have three children. Read Dave's article "Why I resigned from Foreign Service after 27 years"